Below you fill find all funeral homes and cemeteries in or near Park Rapids. Suburbs of Park Rapids: Arago, Dorset, Hubbard, Lake Emma, Lake Itasca, Todd. Park Rapids is also known as: Hubbard County / Park Rapids city. Zip codes in the city: 56470. Hubbard County funeral flowers can be purchased from one of the local funeral shops we partner with. Some of the notable people born here have been: (will weaver), and (tom kading). Park Rapids is a city in and the county seat of Hubbard County, Minnesota, United States. It is near Itasca State Park, the source of the Mississippi River, as well as the beginning of the Heartland State Trail. 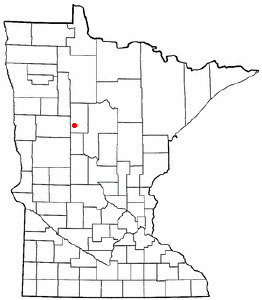 The city was founded in 1890 near the Fish Hook River rapids and is located along U.S. Highway 71 and Minnesota State Highway 34. The population was 3,709 at the 2010 census. It was reported on December 1st, 2018 that Harvey Henry Jokela died in Park Rapids, Minnesota. Jokela was 100 years old. Send flowers to express your sorrow and honor Harvey Henry's life. It was revealed on November 4th, 2018 that Maurice Dalton Bobst passed away in Park Rapids, Minnesota. Bobst was 91 years old and was born in Franklin Co, IA. Send flowers to express your sympathy and honor Maurice Dalton's life. It was disclosed on February 13th, 2018 that James David Allen died in Park Rapids, Minnesota. Allen was 76 years old. Send flowers to share your condolences and honor James David's life. It was reported on November 9th, 2017 that Ralph Harold Jaschob passed away in Park Rapids, Minnesota. Jaschob was 84 years old and was born in Geneva, IL. Send flowers to express your sorrow and honor Ralph Harold's life. It was written by Ann Arbor News on October 12th, 2017 that Helen Fern Norman (Peterson) perished in Ann Arbor, Michigan. Ms. Norman was 88 years old and was born in Park Rapids, MN. Send flowers to share your condolences and honor Helen Fern's life. It was revealed by The News Tribune on April 14th, 2017 that Arthur Lyle Overbo passed away in Washington. Overbo was 74 years old and was born in Park Rapids, MN. Send flowers to express your sorrow and honor Arthur Lyle's life. It was noted by The Beacon News on March 11th, 2017 that Mayln Schraw died in Huntley, Illinois. Schraw was 91 years old and was born in Park Rapids, MN. Send flowers to express your sorrow and honor Mayln's life. It was revealed by The Beacon News on October 28th, 2016 that Barbara E Rot (Johnson) passed on in Naperville, Illinois. Ms. Rot was 75 years old and was born in Park Rapids, MN. Send flowers to share your condolences and honor Barbara E's life. It was reported by Tri-City Herald on October 9th, 2016 that Sharon Ann Heath (Stilwell) died in Kennewick, Washington. Ms. Heath was 77 years old and was born in Park Rapids, MN. Send flowers to share your condolences and honor Sharon Ann's life. It was disclosed on August 6th, 2016 that Richard J Merrick passed on in Park Rapids, Minnesota. Merrick was 85 years old. Send flowers to share your condolences and honor Richard J's life. Itasca State Park, the source of the Mississippi River welcomes almost half a million visitors every year. Thousands of tourist come to Park Rapids every year to enjoy the area lakes and visit Itasca State Park. Park Rapids is a city in and the county seat of Hubbard County, Minnesota County, Minnesota, United States. The population of was 3,276 at the United States Census, 2000 census. Park Rapids became a city in 1890, and was named by Frank C. Rice after the park groves and prairies beside the Fishhook River rapids, which have now been dammed . The official website for the city of Park Rapids is http://ci.park-rapids.mn.us/. He furthered his own education by attending night school at the University of Minnesota, eventually earning his masters ... Ron before moving back to Lakefield and Redwood Falls and finally to Park Rapids in 1994 to be closer to his son, Larry. Charles John Meyers, 56, of Grand Rapids, Minn., died Friday, Oct. 22, 2010, in Sterling, Va., from injuries sustained in a motorcycle accident. The funeral will be held ... before moving back to Minnesota in 1986, where he built his family home. Listing all funeral homes in Park Rapids, Minnesota so you can easily send flowers to any location (same day delivery) or find any funeral service. Pearson, Timothy - Jones-Pearson Funeral Home, Park Rapids, MN : Reviews and maps - Yahoo! Local, 218.732.5131. Get Ratings, Reviews, Photos and more on Yahoo! Local. We work with local florists and flower shops to offer same day delivery. You will find budget sympathy flowers in Park Rapids here. Our funeral flowers are cheap in price but not in value.